When life unexpectedly takes a turn for the worst, it's not always possible to come out without a few bumps and bruises. Every day, people are faced with late or missed credit card payments, mortgage foreclosures, bankruptcy proceedings, auto repossessions and even civil judgments that will affect their credit reports for years to come. Whether it's from a job loss, injury or just a simple case of temporary hardship, credit blemishes are often a part of life. The good news is that they no longer have to prevent you from becoming a homeowner. After experiencing a credit problem, most lenders will want to see an attempt to rebuild your credit through a steady payment history with a new account. This can be accomplished by applying for a credit card and maintaining a responsible use of the account. If you aren't approved for an unsecured card, you can always apply for a secured credit card. Either will rebuild your credit over time and will help to show lenders that your past credit problems are just that - in the past. Before applying for a home loan, make sure that you check your credit report from each of the three major credit reporting agencies. Every 12 months, consumers can request a free copy of their credit report from Experian, Equifax and TransUnion. If anything is incorrect or found to be inaccurate, filing a dispute with the credit reporting agency can help to get the information corrected before speaking with a lender. Apps and sites like Credit Karma or FreeCreditScore.com are great for a peek at your score but most lenders look at all 3 scores and take the middle score. Middle meaning not the highest and not the lowest of the 3 scoring agencies I mentioned earlier. Some home buyers often qualify for a mortgage with down payments as low as five percent (three percent for FHA loans), but those with past credit problems may be required to shell out up to 35 percent or more for a down payment on their new home. A buyer who pays a larger down payment obviously has more vested interest in the home and may, thereby, be less likely to default on a loan. 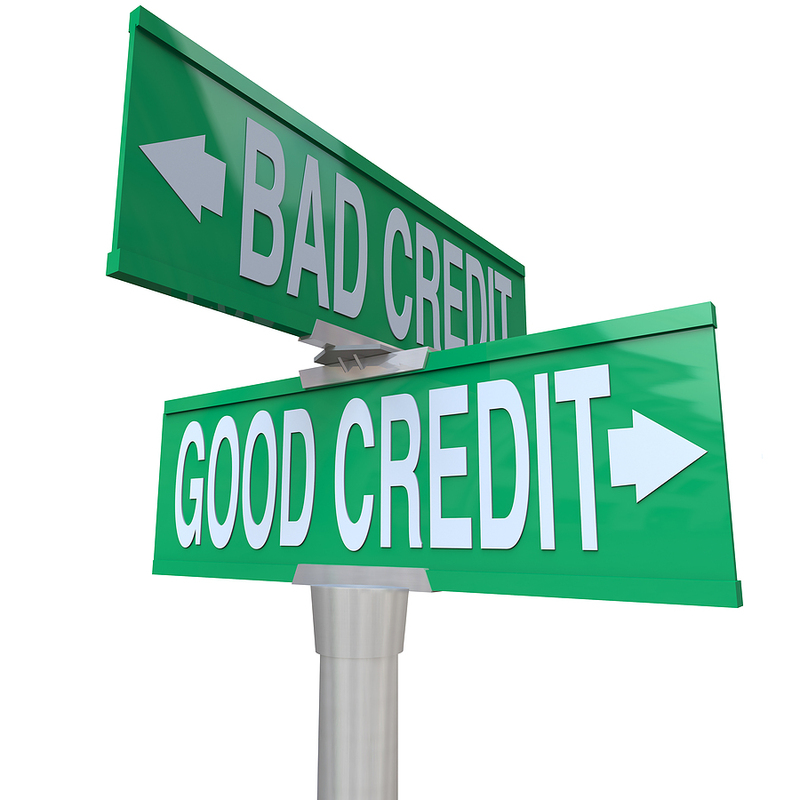 If you have past credit problems, check with your lender about specific down payment requirements and start saving! If you've exhausted all of your conventional efforts and are still turning up empty, don't give up just yet. Alternative financing is an option that many home buyers use to purchase a home. Your REALTOR® can provide you with details regarding any lease purchase and/or owner financing properties, which may require no credit check, no bank qualifying, a low down payment and competitive interest rate options.